Description: All players run around the area randomly. The coach then calls out an identifier, which could be a group of players or an individual. Who can tag the most players in a minute? The identifiers could be colors of a vest, color of clothing, first letter of players name etc. 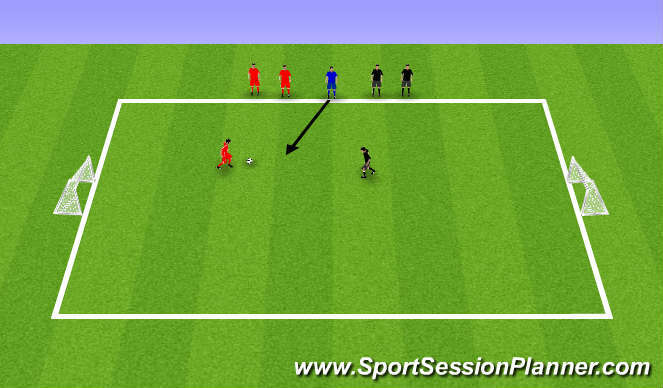 Description: Player dribbles ball towards cone/defender and try the move shown by the coach (circle take or bish bash). This should be doneso players go opposite ways from each other. Progression: Races can be introduced. Encourage players to use body disguise when doing a move. Description: Two teams of equal numbers stand at either sides of the grid. Give each player a Country name (make sure there is a match on the other team). Coach sends a ball in and players come out to play a game. After a goal, period of play or ball goes out add another two. Description: Play a regular game of soccer. 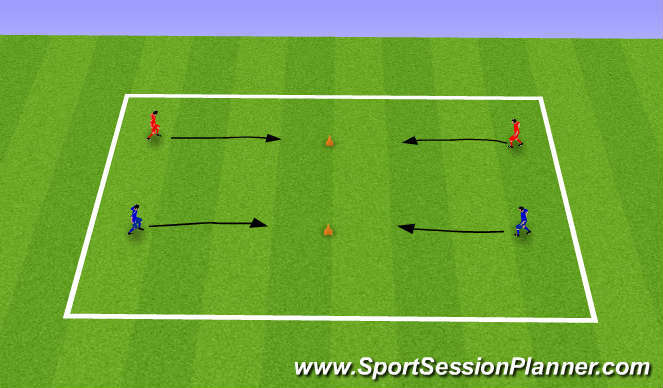 Players who complete a circle take and beats a defender gains 5 points for their team.